Transform and add value to every marketing, transactional or operational communication. 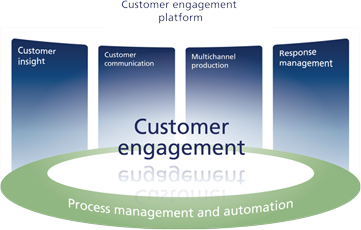 Engage meaningfully with your customers across their entire customer journey. Quadient Inspire is an enterprise communication platform enabling your business to consistently deliver relevant personalised messages, at the right time through the preferred channel. This intelligent use of communications has enabled Quadient clients to build loyalty that lasts, while driving down costs and reaching new markets and customers. Quadient delivers the best-of-breed solution with unrivalled experience in the field of Customer Communications Management (CCM). Quadient's solution inspires businesses and enterprises to take customer communications to a whole new level and benefit from every conversation. Quadient is a global company, headquartered in Switzerland, with offices throughout Europe, America, Asia and Australia. In 2012 Neopost acquired Quadient. Quadient serves thousands of users worldwide in a wide range of industries including financial services, banking, insurance, telecommunications, utilities and health care. Quadient Inspire is an enterprise communication platform enabling your business to deliver personalised communications, at the right time through the preferred channel. 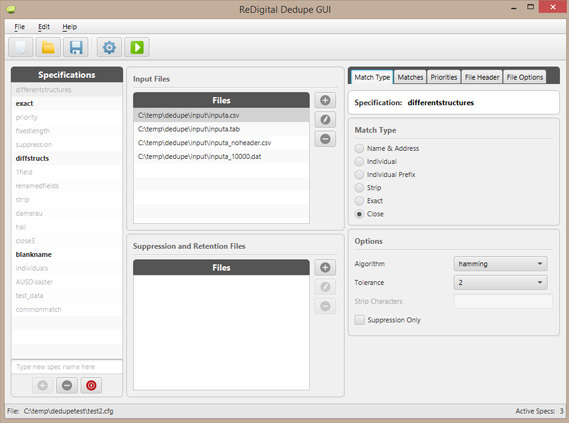 ReDigital Dedupe is a full-featured de-duplication package for selecting & removing duplicate records from your data. It is fast, simple and powerful. 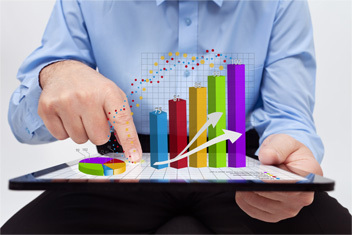 The software removes duplicate records based on comprehensive, fully customisable criteria the user. Dedupe compares the values from one or more fields from all records & matches them based on the settings found in the configuration file. Multiple set by files can be supplied & Dedupe will perform the deduplication across all supplied files in addition to internally deduplicating all files. An option can be set so that files are not internally deduplicated, but the records are excluded by comparing them against a separate file. When multiple files are supplied for processing, options can be set individually for each file; this allows files of different formats to be supplied at the same time, with each file having its own custom options. There are a number of different algorithms available for comparing records; from exact match, to close match, to fuzzy matching. ReDigital has a proven track record in providing customised solutions to Service Bureau's and corporate enterprises for Customer Communications Management. ReDigital works with our customers from requirements gathering and solution design, through to installation and testing of integrated Quadient Inspire solutions. Our flagship services provide best-of-breed CCM and ECM platforms as a service on Microsoft Azure and AWS. Omni-channel output supporting all channels, with gold standard in content management, means the SaaS platform supports all your customer communications - digital and print. CloudDirect is our SaaS CCM platform providing cutting-edge customer communication services to organisations that demand accurate, highly-available, scalable communications-as-a-service. ECM re-imagined from the ground up and developed to be the most robust, full-featured document repository platform, Keeper has been designed as a turnkey business solution for security, compliance and audit for both inbound and outbound communications. ReDigital was founded in 2010 as the Australia and New Zealand distributor for Quadient Software Technologies. The combined skills and experience of our team ensures our clients are offered expert advice, professional solutions and exceptional service. We pride ourselves in understanding your business objectives and have a total commitment to customer service and professionalism. We strive to ensure that our solutions always meet your expectations. Contact us using the form below, or alternately in Australia on +61-3 9070 5719, and in New Zealand on +64-9 886 9888.